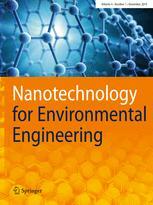 This journal presents articles, reviews and mini-reviews on research into such topics as applications of nanotechnology for substantial benefits to the environment; emerging bio-nanotechnology based concepts including green chemistry, molecular biology methods and chemical processes; environmental engineering policy regarding safety and sustainability; and techno-economical aspects of environmental engineering and nanotechnology processes. Areas of subject specialization include physics, chemistry, biotechnology, pharmaceutical science, nano-biochemical science and environmental engineering. The journal reaches a cross-disciplinary readership of scientists, professionals and researchers from academia and industry in the field of environmental bio-nanotechnology, nano-engineering for environmental application, nanomaterials, emerging contaminants, environmental monitoring/detection science, nano-electronics in process and environmental engineering.